Getting a great shape to your eyebrows is no mean feat. They say that the eyebrows frame the face, and when it comes to expressions and a beautiful finishing touch, your eyebrows say it all. But for many of us, getting it right is quite a chore. Investing in semi permanent eyebrows is a great way to reduce the time you spend applying makeup in the morning, not to mention all those painful evenings plucking away stray hairs. And if you usually have your eyebrows threaded, waxed or plucked at the salon, you could end up making your wallet happy too! How do tattoo eyebrows work? 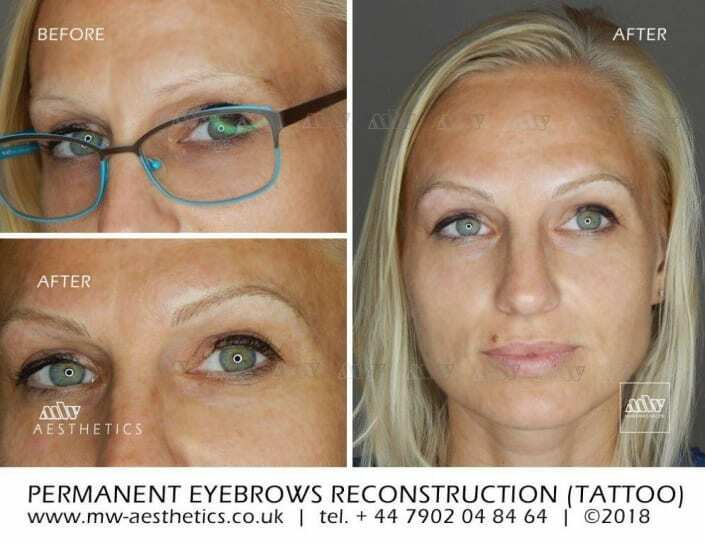 The treatment: We will discuss your treatment in detail. Your practitioner will draw in your brow shape, and discuss colour, thickness and stroke type with you. 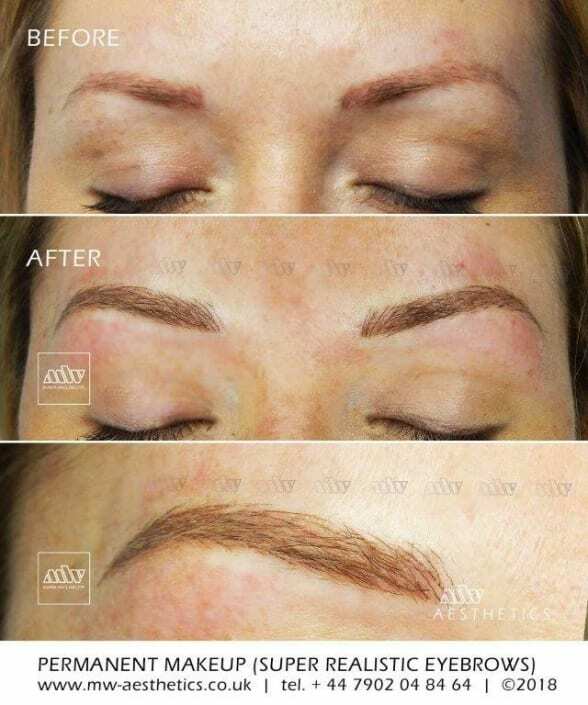 Once you agree the shape, you will have your eyebrow tattooing completed. Each treatment stage will be documented on the photographs. 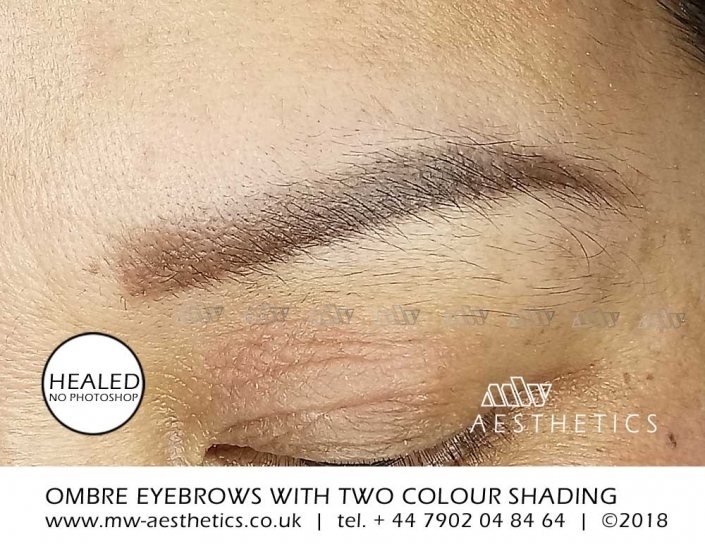 Results: The pigmentation will take a couple of weeks to fully settle in, so we ask clients to return to us around four to six weeks after treatment to have their tattooed eyebrows touched up. Once this is done, the results will last for around a year before any further touch up is required. Risks: Semi permanent eyebrows are a very low risk treatment, as long as our aftercare instructions are followed. 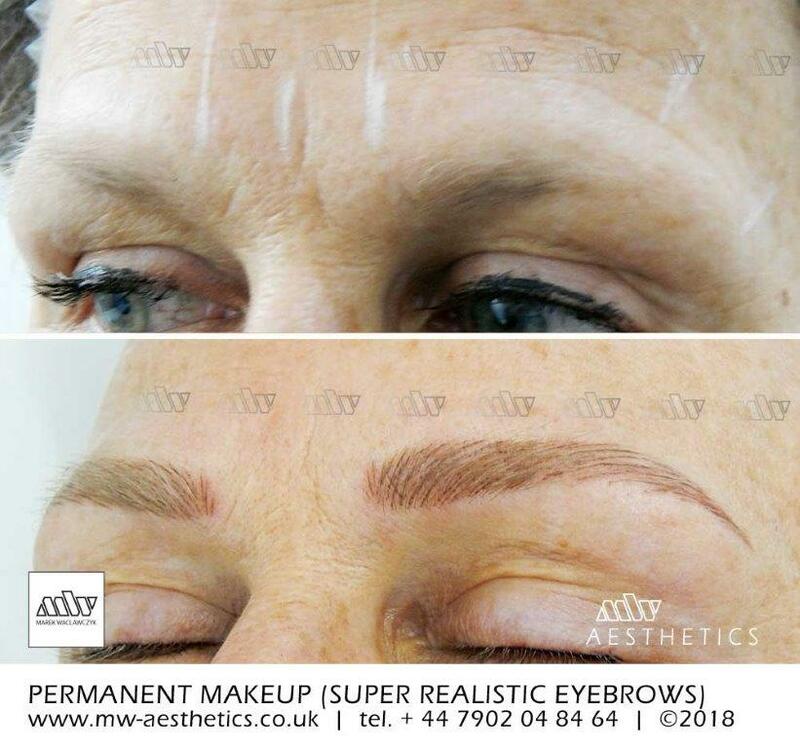 If you do not, there is a small risk of infection which can cause colour loss, but by sticking to our aftercare plan you’ll be able to enjoy your new eyebrows without any complications. 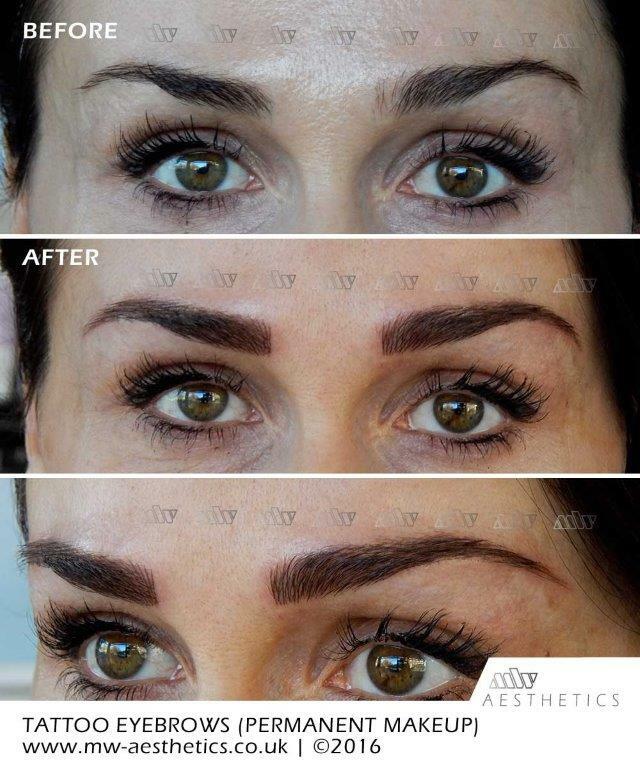 Our 3D strokes meticulously place every single hair of the eyebrow to create a perfect, natural looking brow. These use creative, artistic shading combined with individual hair strokes for a defined look that is still natural. 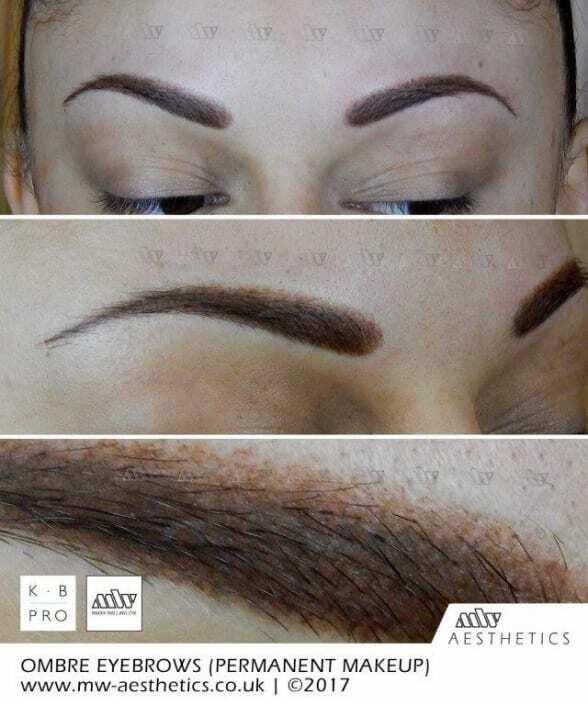 For the bolder, powder eyebrow finish, this technique uses a full fill for a defined, perfected look with softer/shaded edges. 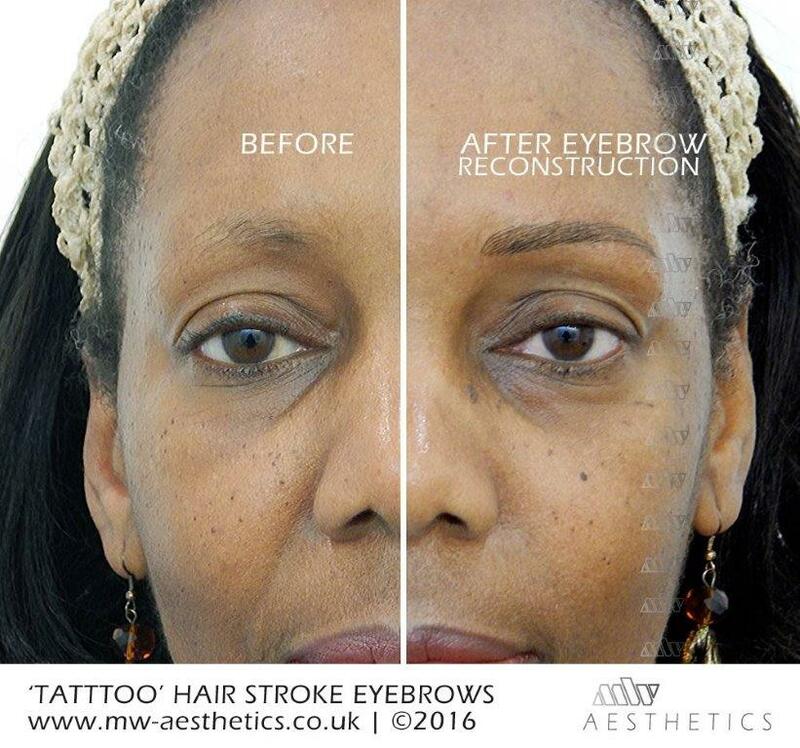 Here at MW Aesthetics, we appreciate the uniqueness of every face we see. 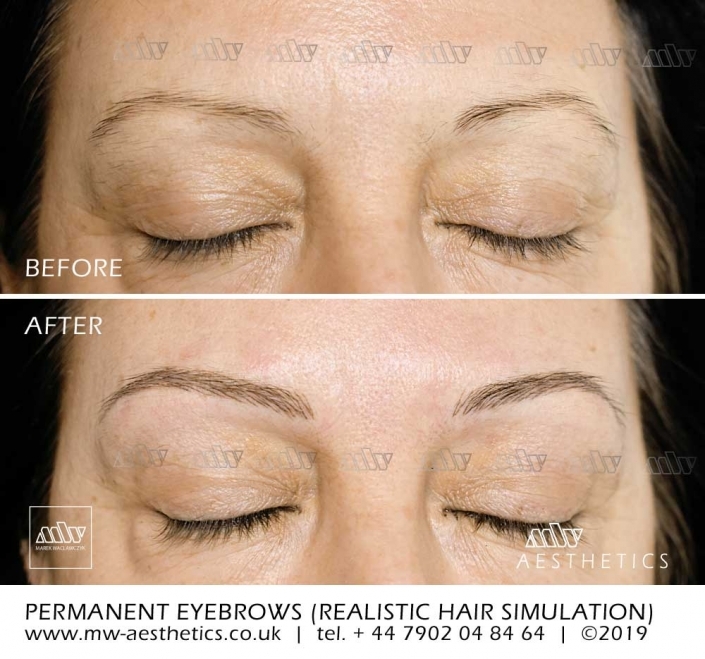 We know there is no one size fits all solution to eyebrow tattooing, which is why we’ll fully consult with you to get your style just right. 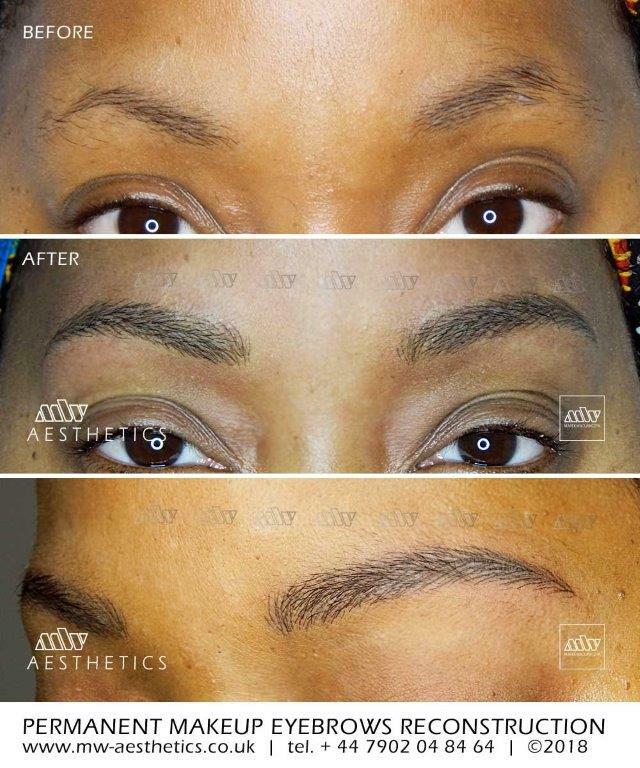 We never use stencils, and will create an individual shape and finish through meticulous freehand eyebrow tattooing, for a result that truly complements your face and us as unique as you are. We’ll advise you on colour choices, based on the tone of your skin and hair, and will discuss shape, arch, thickness and definition with you before any work starts. 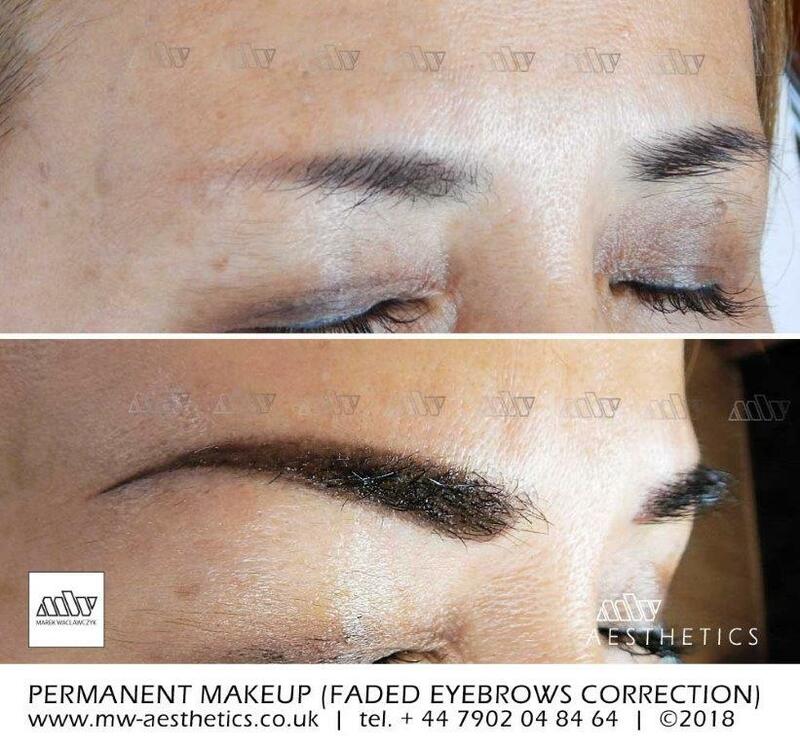 We never recommend going with a ‘fad’ or a particular eyebrow fashion. 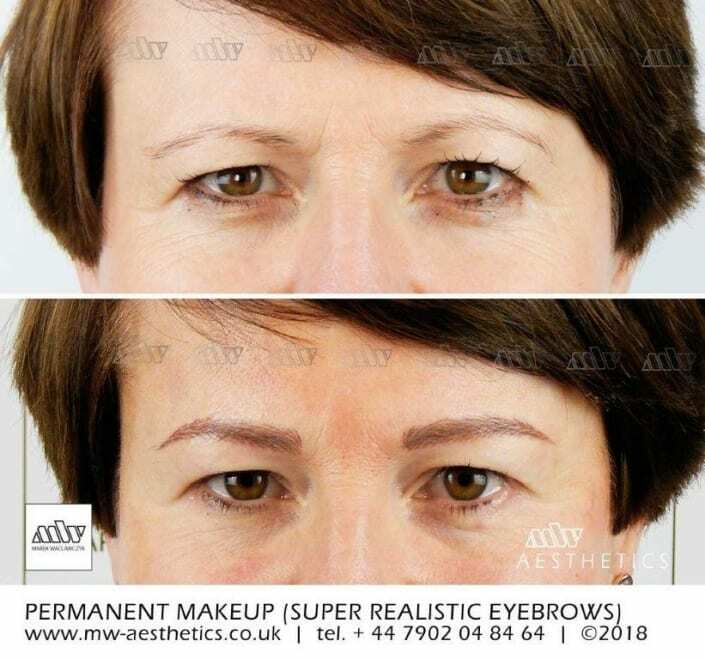 Our aim is to create a brow that perfectly mimics your natural shape, and results in a timeless, beautiful accent to your face. 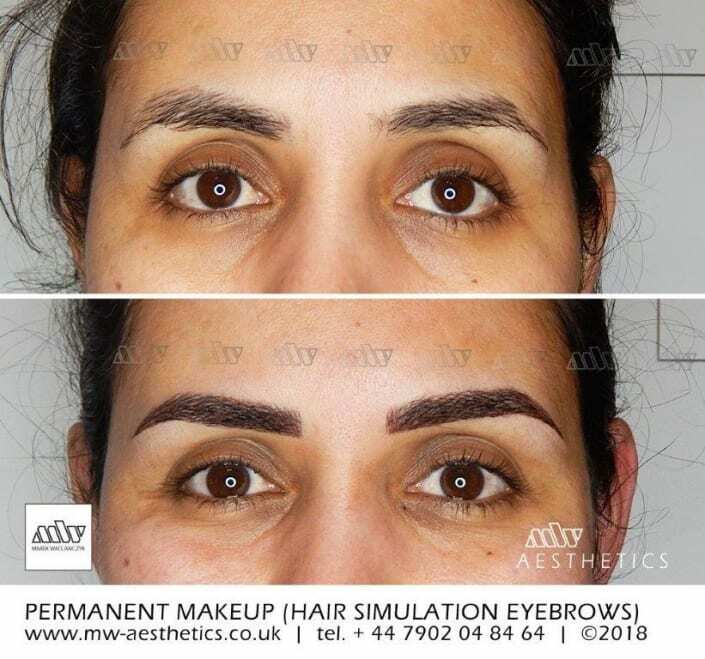 For first timers, permanent makeup can be nothing short of terrifying. 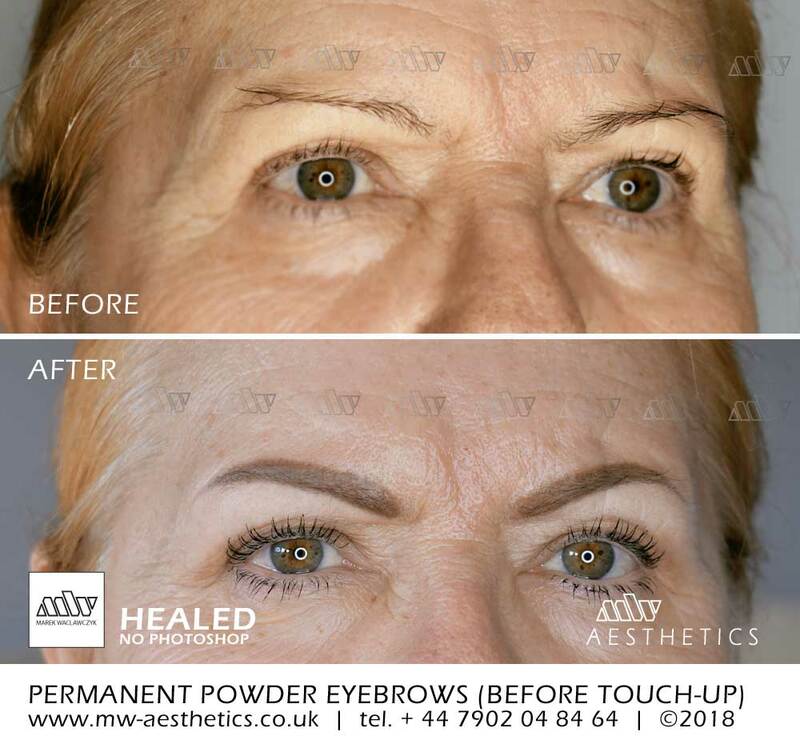 After all, you’re having a form of tattoo applied to a very sensitive area of your face, however, In permanent makeup, nothing is left to chance, and we operate a strict consultation and perfection procedure to ensure what you end up with, is exactly what you wanted. At your consultation the first thing we do is assess your skin undertones, to ensure you use the best pigment for your skin type. 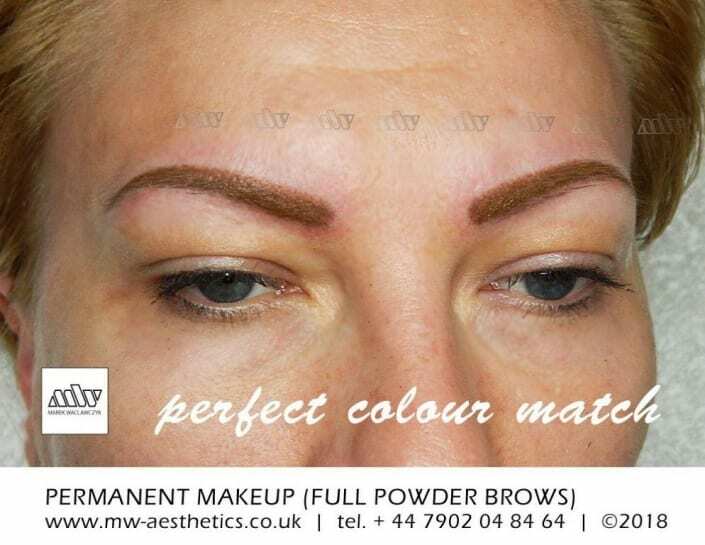 Most people have either warm or cool undertones, which lends them to looking best in red or blue based colours. Next, we will discuss the treatment technique you want and your expectations. Whether it’s a natural hair stroke permanent makeup technique, ombre/shaded brows or a bold look you’re after, there are a whole lot of shapes, thicknesses and colours to decide upon. It would be good if you’ve had a good think about this before your appointment, so we can narrow down your options at an early stage. We will then draw on your makeup with a pencil, so you can see the shape and how it looks on your face. We will also take pictures, so you can evaluate how you’re going to look against how your face looks at the present time. 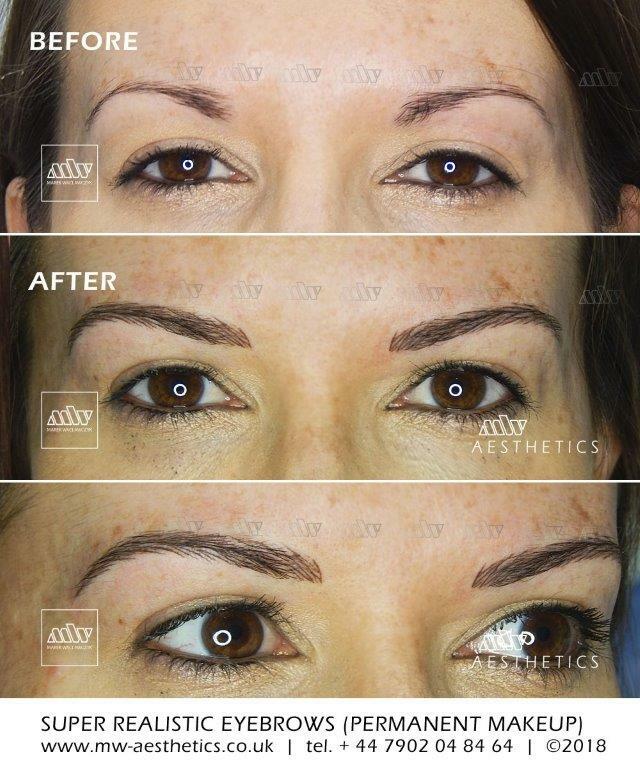 Once you’re happy with the planned shape, colour and density, we’ll move on to starting the treatment.